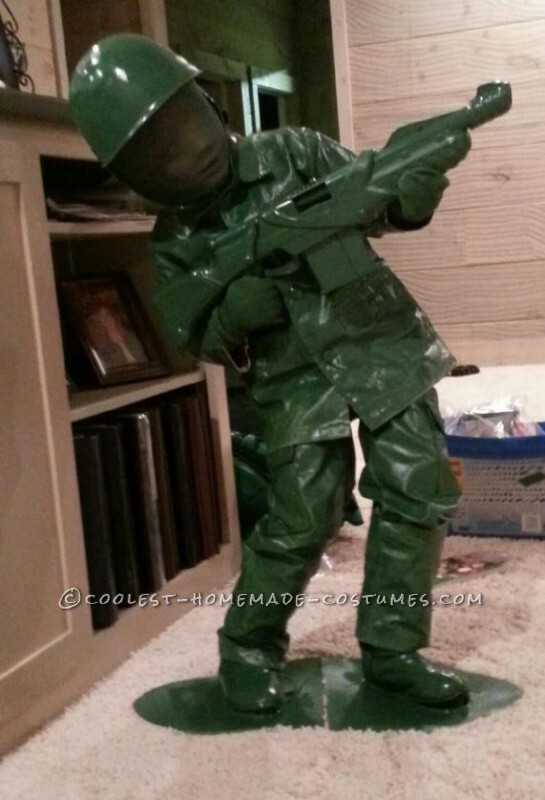 My six year old son Blade asked to dress up as Green Army man from Toy Story. I started with regular clothing. I painted two times with semi gloss latex paint with a brush (this is what gives his the “plastic effect”!!! The thicker the better!) Then I painted three coats of Kelly Green spray paint. The gun was a Nerf gun we already had. I just painted to match. Put socks on his hand. The face is a stretched out pantyhouse painted green. I took an old pair of boots and screwed them to plastics pieces. I cut in the middle so he would be able to walk. 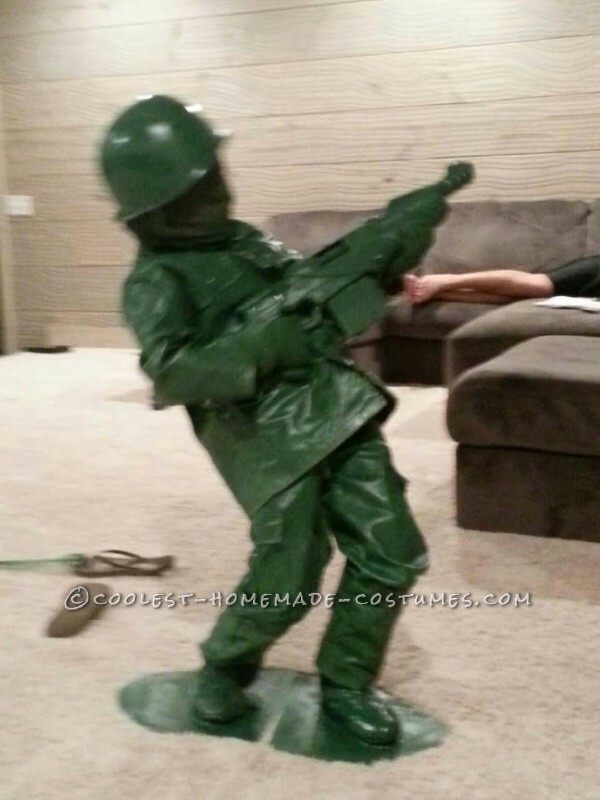 My son has bragged and bragged on his costume and cannot wait to wear it for Halloween! It is a little hard to move around in which fits perfect with theme of being a stationary toy!! I have sent pics to several friends and they cannot beleive that Blade is actually in the costume, they said it looks too good to be true! Total cost around $25, estimated total time 5-6 hours.